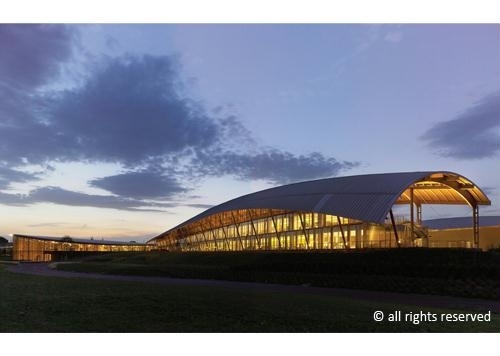 The high quality of Resstende technical blinds has been chosen for the first Wellness Campus in the world: the Technogym Village in Cesena. 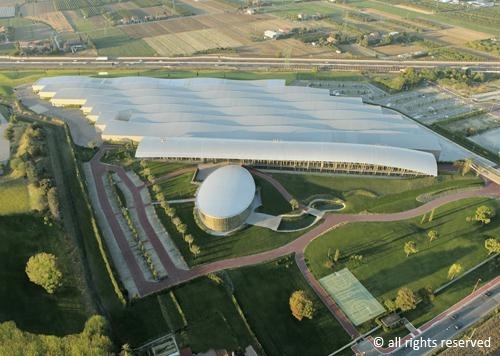 The first Wellness Campus in the world has been constructed in the vicinity of Cesena : the Technogym Village was conceived by the president and founder of Technogym, Nerio Alessandri – and designed by the architects Antonio Citterio, Patricia Viel & Partners – with the intention of creating a factory on a human scale, based on the philosophy of nurturing health and wellness at the workplace. 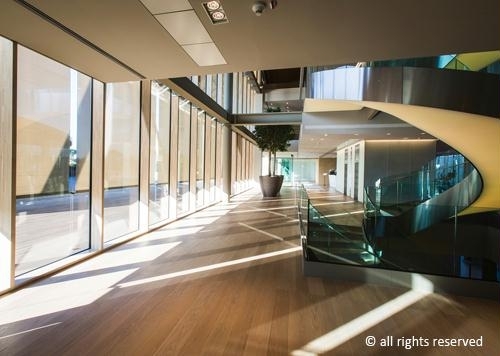 In a such an innovative and avant-garde reality, Resstende exceeded in yet another design challenge, supplying the entire building with technical shades that both control and regulate natural lighting, protecting the environment from solar radiation whilst allowing natural light to enter and maintaining visibility of the surrounding panorama. Resstende installed a total of 314 blinds in the Technogym Village, 192 outdoor and 122 indoor systems, choosing the most suitable solution for each room to blend perfectly with the architectural design.Indoors, Resstende designed a number of different blinds to best suit the specific use of each room: DECISO XL blinds from the Laylight collection. All blinds, both indoors and outdoors, are fitted with shading fabrics from the Sunscreen Satiné 5500 collection which have optimum light resistance and perfect stability. 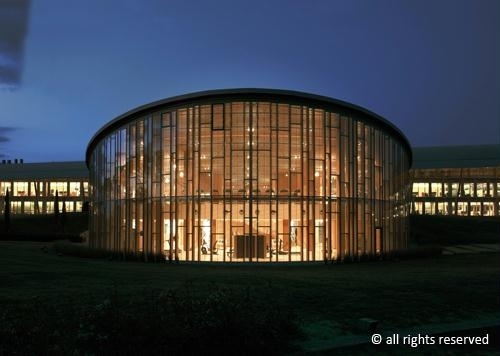 If the Technogym Village represents the starting point for the future of Technogym’s Wellness philosophy, the Resstende shades are the finishing line regarding technical quality in company architecture!